Antonio Bascaro, the longest serving marijuana prisoner needs your help. Thank you for your interest in helping the world’s longest-serving marijuana prisoner, Antonio Bascaro. 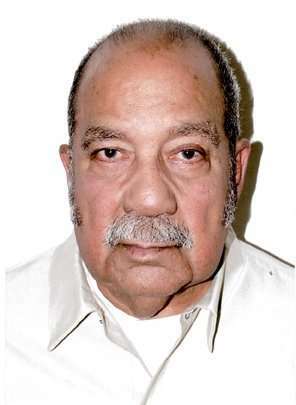 Antonio is 83 years old and has been incarcerated for 38 years (since 1980). He is not in great health and confined to a wheelchair most of the time. Antonio has a loving family who wants to see him come home. While his sentence only has a few more years left, at 83 that is a long time. While Antonio is the perfect candidate for Compassionate Release, and he is indeed eligible, the process seems stuck in an endless limbo. Antonio Bascaro Should Already be Home! Antonio should have gone home 2 years ago, but his records were mishandled by prison officials and his records do not reflect “good time” he has earned by being a model prisoner through the years and by furthering his education. So instead of enjoying the few remaining years he has left with his loved ones, Antonio Bascaro remains caged in a federal prison. Antonio has asked people to please write letters on his behalf and send them to the Inspector General at the Department of Justice to ask him to please investigate this case, the missing credit for good time, and to right this horrible injustice. If you are stuck on what to say, don’t worry, there is a sample letter below on this page that you can paraphrase. You can also click here to read the letter that Antonio himself wrote to the Inspector General for more ideas of what to say. Please keep it respectful! This is not the time or place to voice your frustrations with the government or the war on cannabis in general. Do say that you are writing, as a concerned citizen, on Antonio Bascaro’s behalf. Do ask the inspector general to look into Antonio’s case and investigate the violations that keep him behind bars when he should have been released 2 years ago. Do sign your letter and include a return address. I am writing today, as a concerned citizen, on behalf of Antonio Bascaro (federal prisoner # 03846-021). 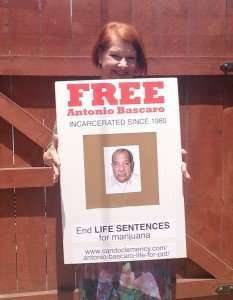 Mr. Bascaro, a first time offender, has been incarcerated since 1980 for a nonviolent marijuana conspiracy offense. 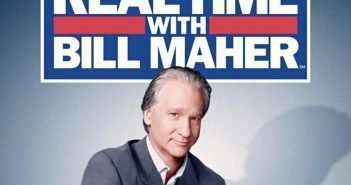 As far as we can tell, he is the longest serving prisoner for marijuana in the world. He is in poor health and is largely confined to a wheelchair. He wants nothing more than to go home to his loving family for the few remaining years he has left. He does have family waiting to take care of him. Because of various mishandled records through the years, Mr. Bascaro has not received the “good time” he has earned through furthering his education and being a model prisoner. These errors have cost this elderly gentleman precious time with his family. Had he received the good time credit he earned, Mr. Bascaro would have gone home to his family over 2 years ago. Yet at 83 years old and incarcerated for over 38 years, this nonviolent offender remains behind bars. I respectfully ask you to investigate Mr. Bascaro’s case and right this terrible injustice. If this man is not worthy of compassionate release, I cannot imagine who would be. Thank you for your time and attention to this matter. I urge you to do what is in your power to send Antonio Bascaro home to his family as soon as possible. Thirty-eight years over marijuana is too long.